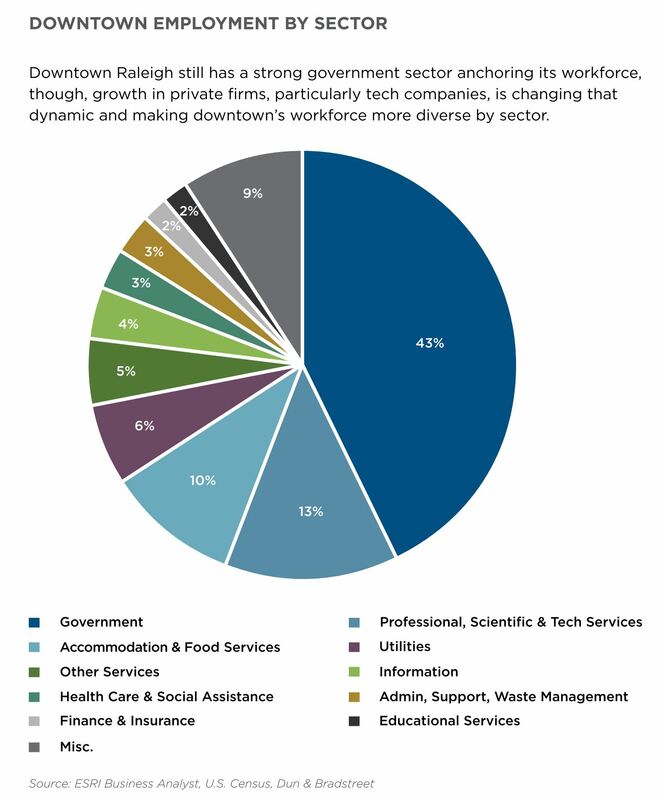 Every Spring, the Downtown Raleigh Alliance releases their “State of” report and it’s full of data goodness about our city’s core. If you want to dive into it, go here. Having seen a few of these, there are some stats that I go for each year and I wanted to put them down here for Part 1. We’re still a government town and the figure below shows the latest breakdown of employment by sector. 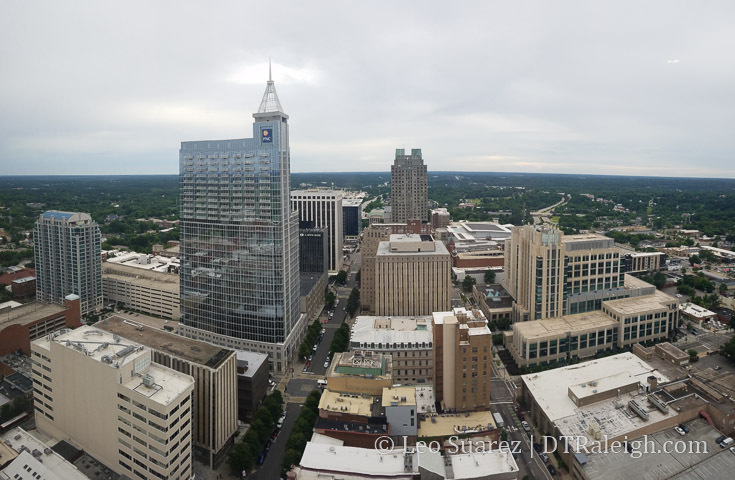 Downtown Raleigh has the densest office market in the Triangle. The count of urban workers is now at 47,000 and is projected to be at 56,500 by 2030. The rest more or less went down a percentage point. 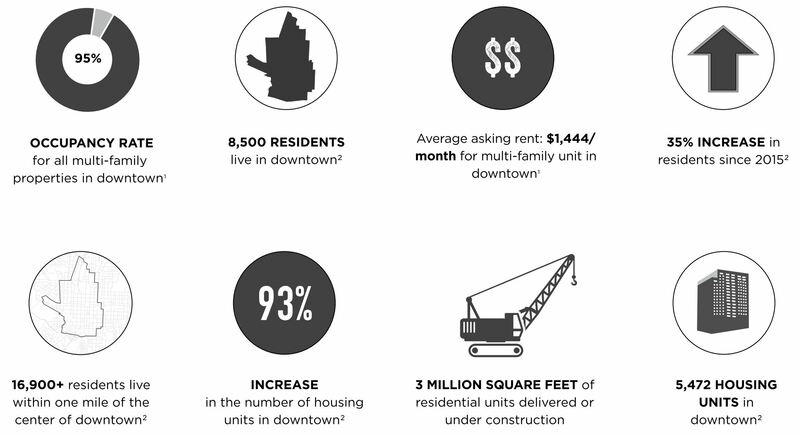 There are now 8,500 residents living in downtown Raleigh and we’re projected to hit 10,000 by 2022. The occupancy rate is also at 95%, up one over last year so we’re ready to absorb more units. And finally, here’s the big list of developments from the report showing completed, under construction, and planned projects in downtown Raleigh. The price tag on City Gateway is clearly way off. Perhaps that’s how much funding is available right now and explains why it hasn’t moved forward. 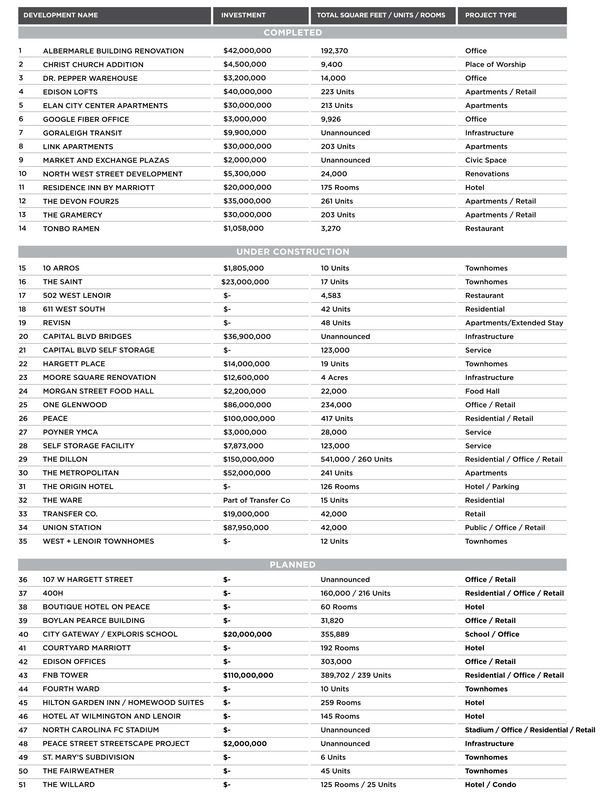 Check out the cost of the similar size buildings on that list… most about 4x-5x as much. Would be great to see an energy neutral building in such a prominent location in our city. I like these blog posts and comments. Can you keep them in addition to the community forum? The posts aren’t foimf anywhere. Expect the same kind of comments. The discussion is moving in order to be more inclusive and move to a much better platform. It also allows myself to manage it all much more effectively. I’m working on ways to tightly integrate both sides. Hopefully it’ll be an easy adjustment for all! The MLS just awarded Cincinnati an expansion franchise bringing total to 26 teams, just 2 short of ultimate goal of 28. I’ve always heard Sacramento was a shoe-in but their bid obviously ran into a few hurdles. If they can get the problems sorted out they are likely in leaving room for only one additional team. Will that team be NCFC? Here’s an article about it all. DOHP! General Assembly kills Durham/C.H. light rail. Perhaps the GA doesn’t want so many liberal voters pouring into our state? I just read the light rail prospectus that was served up for this project and it totally reads like a nice to have, not a must have. I don’t think that they did a good job making their case for its need. In today’s political climate, if you can’t make your case, you’re dead in the water.